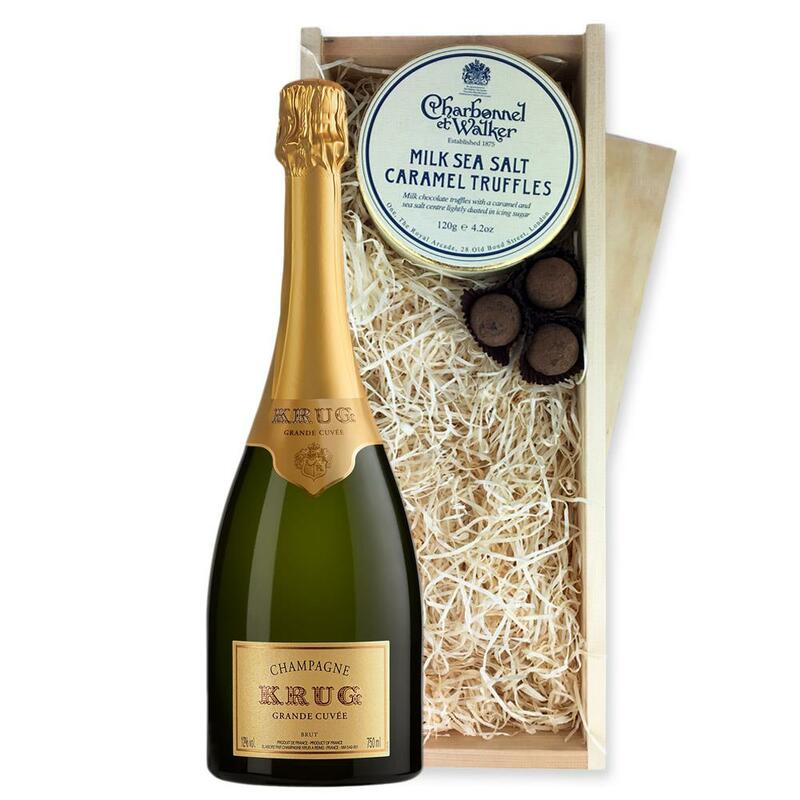 A single bottle of Krug Grande Cuvee Edition 166 NV 75cl, Champagne & Charbonnel - Milk Sea Salt Chocolate Truffles (110g), Presented in a wooden gift box with sliding lid and lined with wood wool with a Gift Card for your personal message. 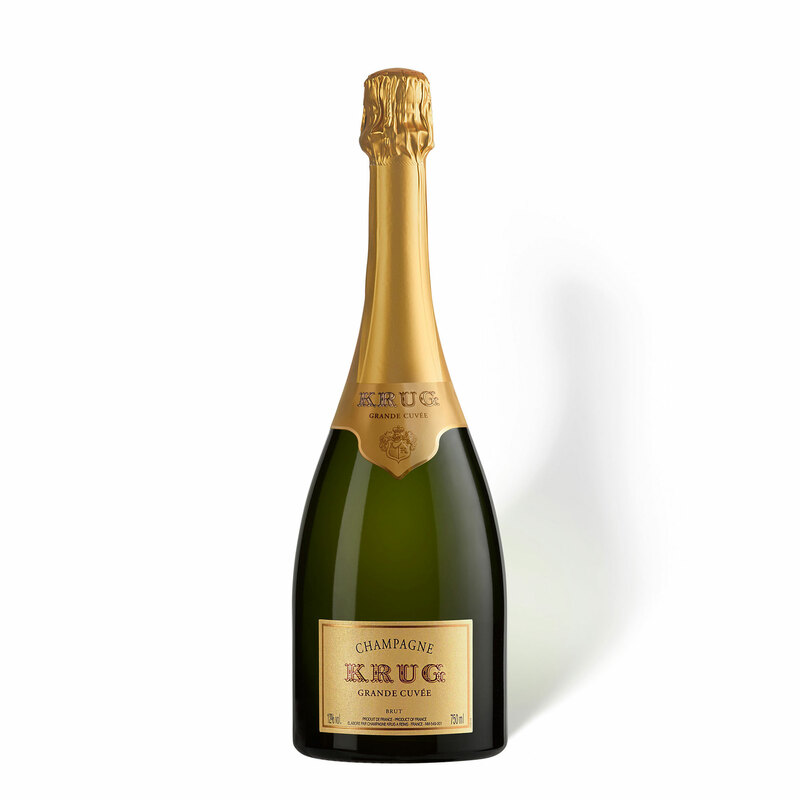 This is the first bottle of Krug Grande Cuvée that is displaying the edition on the label, a pattern that Krug have now adopted to show that base vintage of each Grande Cuvée and is marked on the front label. This is the 166th creation of Krug Grand Cuvee which is based on the diffrent vintages, the oldest wine is from 1990 with 183 wines from 12 vintages to make the Krug signature Grande Cuvée.